Closeout. 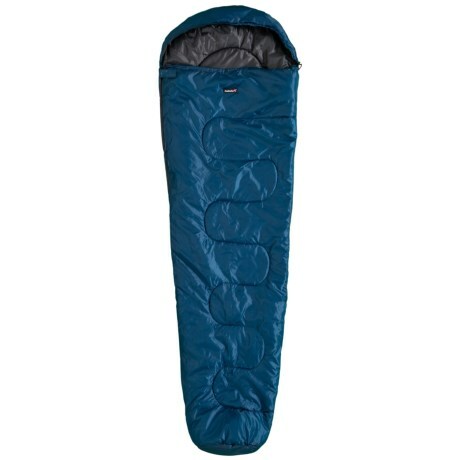 This Avalanche 20and#176;F Camping Single Campforter sleeping bag offers the warmth and moisture protection of synthetic insulation in a cozy mummy design. Available Colors: BLUE, RED, TEAL.